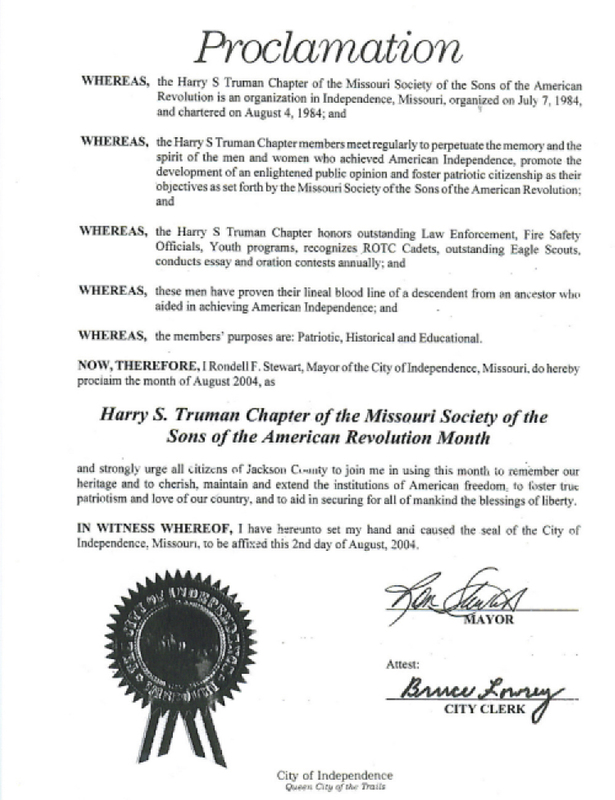 20 Year Proclamation for MOSSAR Harry S. Truman Chapter, honored by local Independence, MO Mayor Rondell F. Stewart on August 4, 2004. 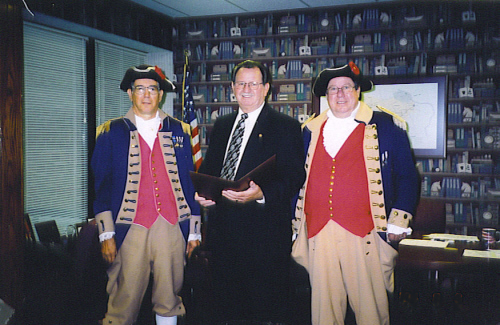 (L-R) Major General Robert L. Grover - Harry S. Truman Color Guard Commander, Rondell F. Stewart - Mayor of Independence, MO, and Captain James L. Scott. 20 Year Proclamation for MOSSAR Harry S. Truman Chapter.